As we all know, these are challenging times for the big publishing houses. I blogged two weeks ago about the meeting in February where publishers concluded they need to move more into digital. 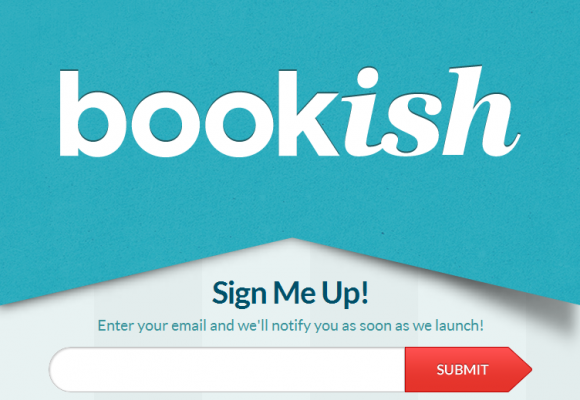 Earlier this month Publishers Weekly reported that Simon and Schuster, Hatchette and Penguin are joining together to launch an online book site called Bookish.com. By Labor Day they expect to have the site operating to “sell books in print and digital format” and “stock complete frontlist and backlist titles from all publishers.” Yes, they said ALL publishers. They also hope to link to and support retail bookstores, including indies. No mention of what they will or will not do with self published works. An article at Geek.com explains the Bookish concept more thoroughly. It says, “The creators of the site are hoping this will be the go-to site for everything book-related, much as IMDB.com is for movies.” Carolyn Reidy, president and chief executive of Simon & Schuster, told the New York Times that the current discovery of books in the “physical environment” needs to be recreated so that it can happen online, something which Reidy said isn’t currently happening. So it sounds to me like they are trying to reproduce a brick-and-mortar browsing/shopping experience to the online customer. In the meantime, Publishers Weekly reported that Amazon, the obvious leader in online book sales, is also assessing what they have to offer in the current environment. They have taken a step deeper into publishing with the launch of their own publishing imprint for romance authors, called Montlake Romance. Amazon has also “acknowledged its intention to publish in other genres.” Again, no mention of self publishing which they already accept through their CreatSpace and Kindle channels. Will Montlake Romance follow the traditional methods of only accepting agent-represented work or using the query and slush pile model? So we have the most popular e-tailer, Amazon, looking to branch into more traditional publishering, while we have traditional publishers looking to branch into want the giant Amazon has already conquered. Who will be the winners in the end? I hope it’s the authors and readers! Speaking of authors winning, check out this week's kids' ebook bestseller list. It's updated every Saturday morning.